Foresight Group Acquires Stamprite Supersine, Inc.
LANSING, February 10, 2017 – Foresight Group and Stamprite Supersine, Inc. are pleased to announce their merger, effective immediately. 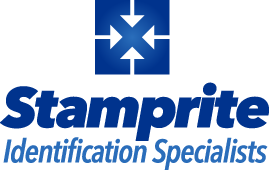 As a long-time leader in Mid-Michigan’s sign, label, and marking device industries, Stamprite Supersine adds over 60 years of quality service and products to Foresight Group’s expertise in the commercial printing, mailing, large format display graphics, vehicle graphics and promotional products businesses. 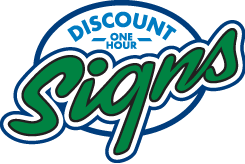 This is the sixth acquisition for Foresight Group since 2011, having already acquired Huron Valley Printing and Imaging, White Pine Printers, Logan Brothers Printing, Discount One Hour Signs, and Goetzcraft Printers. The addition of Stamprite Supersine further increases Foresight Group’s ability to provide superior printed solutions to customers large and small in the Lansing and Ann Arbor markets. Current Stamprite Supersine ownership and all current staff will remain with the company in their existing locations. Christofferson said Foresight Group aims to minimize any changes and interruptions to the existing relationships and operations. Operational integration is expected to be completed within the next few months. For more information, please contact Bill Christofferson at 517-749-0670, Scott Parsons at 517-487-5071, or your current sales representative.